Divergent aggregates of acicular Berthierite crystals, very rarely found on matrix. 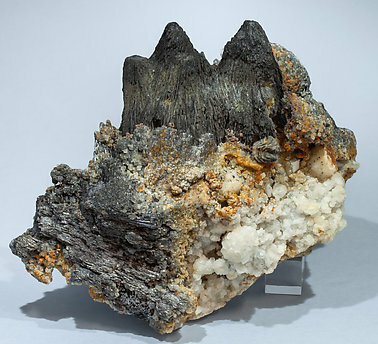 They are with Siderite and gray aggregates of Calcite crystals. One of the aggregates, on the left in the image, is truncated by a natural contact.